Air Force Two was involved in an accident at Gabreski Airport (FOK) on Long Island this morning. 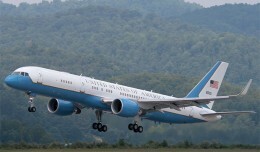 Vice President Joe Biden was on board, but was not injured. 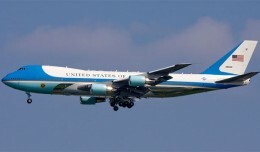 News 12 reports that while Air Force Two was taking off this morning, the jetblast from the plane, a Boeing C-32A, flipped a Piper Cub parked on the airfield, causing damage to the Piper. 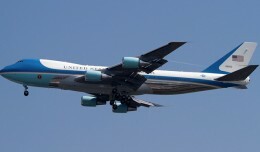 Air Force Two was not damaged. The Piper Cub was empty and no one on the ground was injured. 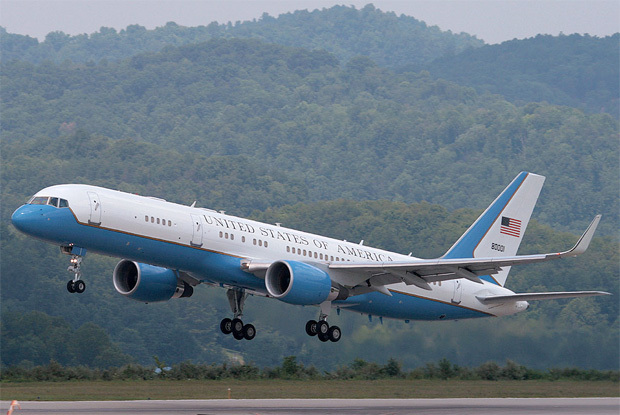 An Air Force plane carrying Vice President Joe Biden suffered a bird strike while landing in southern California late this week. Both the President and Vice President visit New York for separate events on Thursday, likely causing massive disruption in the air and on the ground. Another backwards technique for job creation. Damage planes, then pay the owners to replace them with enough money to buy new ones…thereby creating jobs and claiming political success. 5-6-4-3 Now Way! The title of this is a blatant lie. Sensationalist reporting. title should be: "V.P. BIDEN not NEAR DEATH AFTER A no-so-HORRIFYING PLANE CRASH!!!!" If ever I read NON news, this is in the top two! …a republican Internet rag writer??? REALLY????? Is there such an animal? Obviously in your, not so well hidden, feeble and under-occupied mind there is. You probably know who is going to win the elections in November, don't you?!?!?!?!?!? Yes News 12 Long Island of Cable Vision & NYC Aviation are know for extreme conservative bias… you jerks…That's how the accident report will read for all agencies involved and the for the insurance companies. I suppose a larger jet was no available. It's part of Biden's new Recovery Summer program called Cash For Cessnas. How come the Piper Cub was that close to the runway without proper tie downs? Big FOKing deal is probably what Biden said when they told him what happened. Think think the White Press secretary blamed the incident on the Bush administration. Thanks for this important news, Air Force Two was involved in an accident.